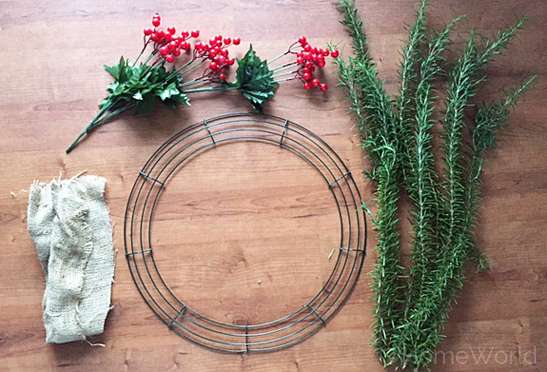 The DIY One-Hour Herb Wreath | Bringing together stories, rooms, life. 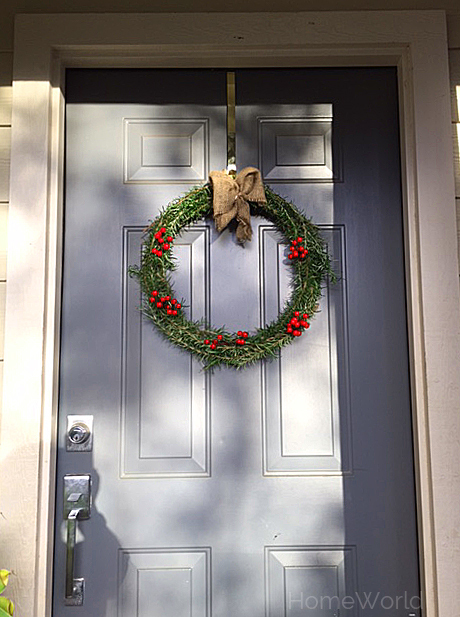 First of all, I have to admit that for years every December, I’ve had an artificial wreath on my front door. It looked nice and was easy enough to hang. This rosemary plant needs a trim. And it was. This is so easy to make, that anyone can do it in an hour or less. I spent $5 for the wire frame and artificial red berries. I cut a piece of burlap from my fabric stash. 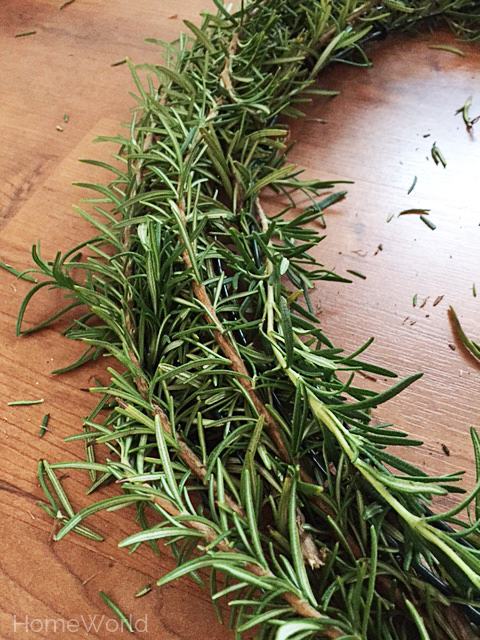 And of course, the rosemary was free from my garden. The wire frame is easy to work with. 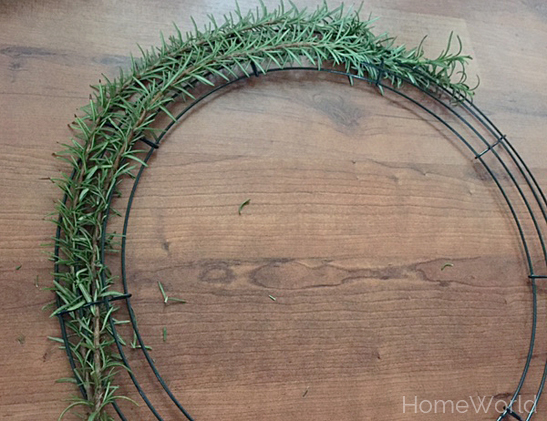 You just have to weave the rosemary in the frame. 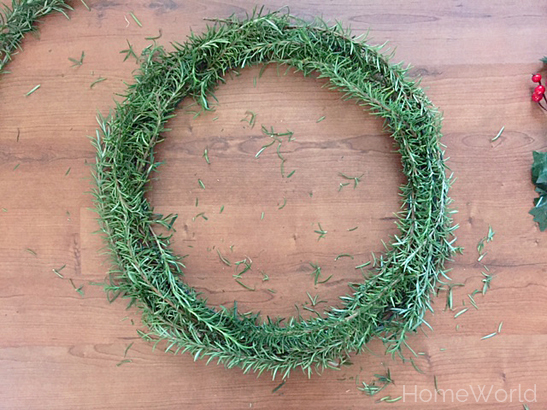 I used long cuttings of the rosemary for the base. Then fill it later with shorter cuttings, which are easier to work with. Then I tucked in the artificial red berries for color and dimension. I secured the burlap bow with a twist tie. Viola! Done. Plus, it smells great. 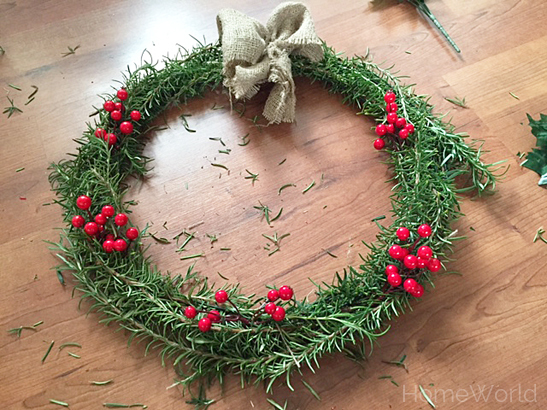 So easy and with plenty of time to decorate the rest of the house. 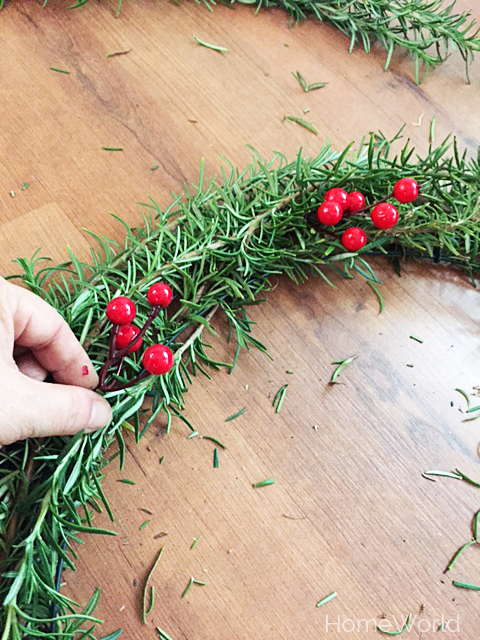 How will you decorate your home this holiday season? Looking beautiful and have some similarities with that my wife made in Finland. Thanks for your comment. 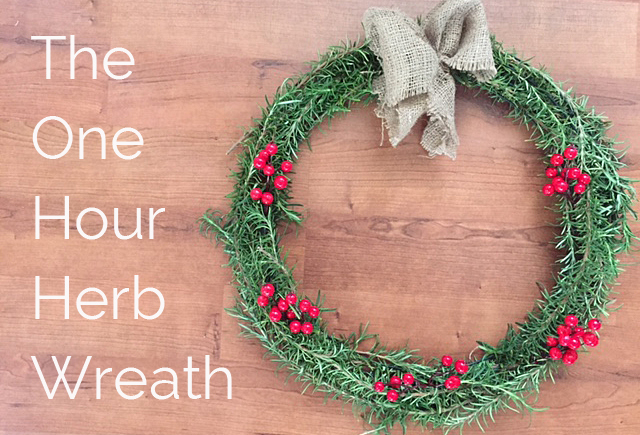 I’m sure your wife enjoyed creating the wreath as much as I did. Happy Holidays to you and your family from Hawaii! 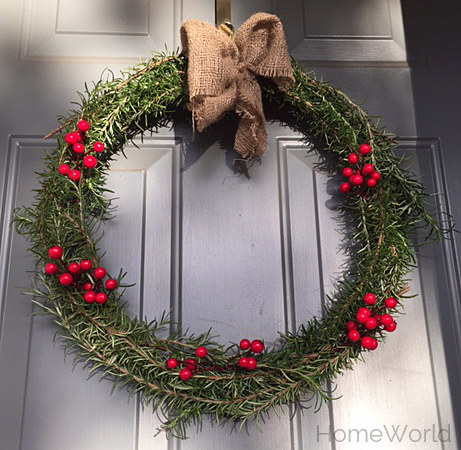 This entry was posted on December 18, 2015 by Terri Dux in Decorating, DIY, Gardening, Holidays and tagged Christmas, crafts, diy, door decorations, front door, garden, herbs, holidays, home decor, rosemary, rosemary wreath, wreath.